Lok Sabha Election 2019: The overture from the Aam Aadmi Party comes in the wake of the Arvind Kejriwal's yesterday's twitter outburst in response to Rahul Gandhi's "clock is running out" reminder. 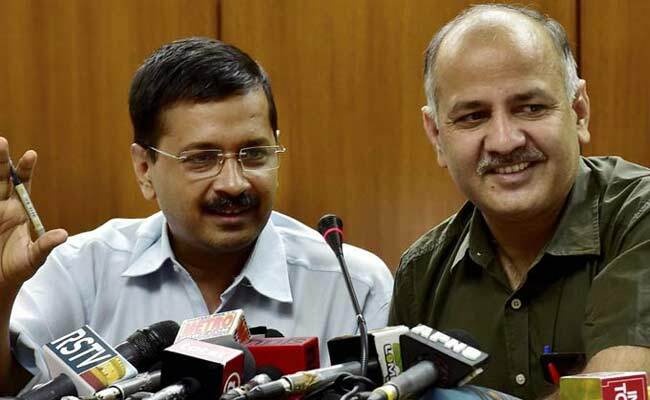 Arvind Kejriwal's deputy Manish Sisodia today indicated that the Aam Aadmi Party is still open to negotiations with the Congress and has nominated a senior leader to continue the discussion. He advised that Congress chief Rahul Gandhi do the same, reiterating that all 18 seats across Delhi, Punjab and Haryana be up for negotiation. The overture from the Aam Aadmi Party comes in the wake of the Arvind Kejriwal's yesterday's twitter outburst in response to Rahul Gandhi's "clock is running out" reminder. "What U-turn? Your tweet shows your interest in alliance is just pretence," Mr Kejriwal had tweeted, repeating his accusation that the Congress was helping Prime Minister Narendra Modi. There was no response from the Congress chief, who, for the first time yesterday, had put out a public message for AAP. Writing with the hashtag #AbAAPkiBaari, Rahul Gandhi had posted, "An alliance between the Congress and AAP in Delhi would mean the rout of the BJP. The Congress is willing to give up four Delhi seats to the AAP to ensure this. But, Mr Kejriwal has done yet another U-turn! Our doors are still open, but the clock is running out". Today, Manish Sisodia tweeted: "AAP has named Sanjay Singh to carry on the dialogue with the Congress. Rahul-ji should also nominate a person who will be able to sit down with AAP and develop the strategy to beat the BJP on 18 seats across Delhi, Haryana and Chandigarh." AAP has repeatedly needled the Congress over seat sharing negotiations, insisting that it did not need any help in Delhi but was interested in an alliance in Haryana and Punjab. The suggestion has not gone down well with the Congress, which is looking out for three seats in Delhi but is not ready to share any in Punjab. The negotiations have dragged on for over a month, with repeated prodding from key opposition leaders like Sharad Pawar, Chandrababu Naidu, MK Stalin, Sitaram Yechury and Mamata Banerjee. The Congress resistance has been fuelled by the leaders of its Delhi unit, including Sheila Dikshit, the three-time Chief Minister whose dream run in Delhi was ended by AAP.